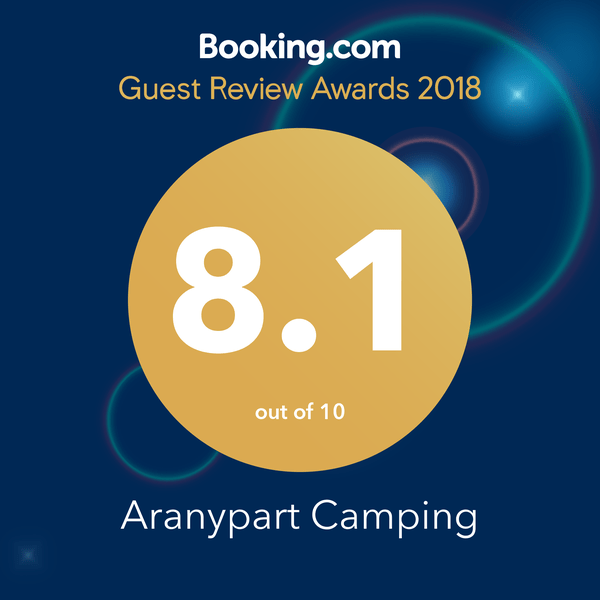 Camping Aranypart is sitzuated immediately at the Lake Balaton, approximately 5 km from the city center of Siófok. The great, family-centered camping offers numerous possibilities for spending leisure time in an active but relaxing way. At the public beach next to the camping site there is a water ski facility and a playground for children can be found there too. The camping site will provide you with everything necessary for a carefree vacation: several snack bars, a shop and a restaurant, where both children and guests with food intolerance will find meals that meet their requirements. You can recover from everyday stress on the beach and by the adventure pool in comfortable sunbeds or rent various water vehicles (e.g. pedal boats). From the middle of June, our animators await children and even adults with exciting events every day from morning to evening.